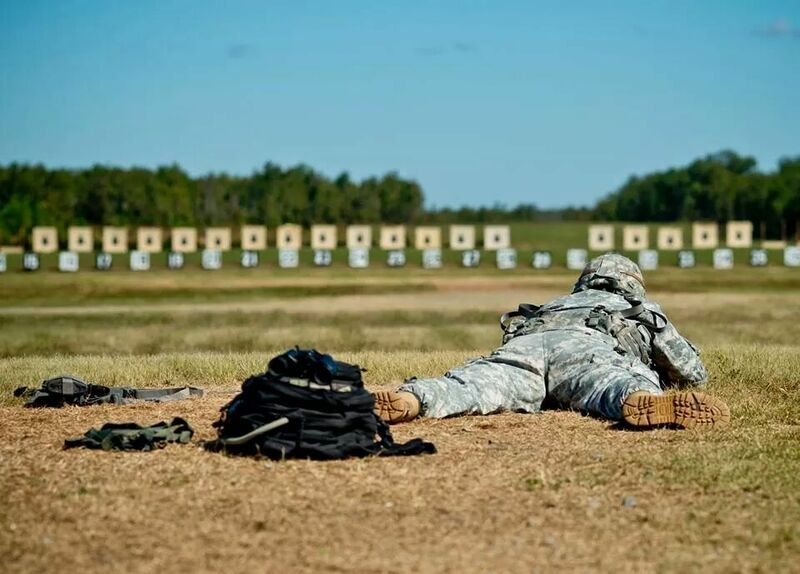 via US Army Reserve Marksman Competition. consist of 11 matches covering pistol, small rifle and light machine gun marksmanship. Soldiers will fire the M16 and M4 rifles at distances from 25 yards to 500 yards using iron sights. They will fire the M9 pistols at distances from 10 to 35 yards. They will finish the competition with firing the M249 Squad Automatic Weapon and the M240B Light Machine Gun. Some of the competition events will require running and physical endurance. A maximum of 160 Soldiers will be allowed to compete, forming teams of four firing members each. The competition is hosted and organized by the Army Reserve Marksmanship Program (ARMP), which consists of marksmen who have earned medals in nation-wide and international competitions, with two Soldiers eligible to compete in the 2016 Olympics.